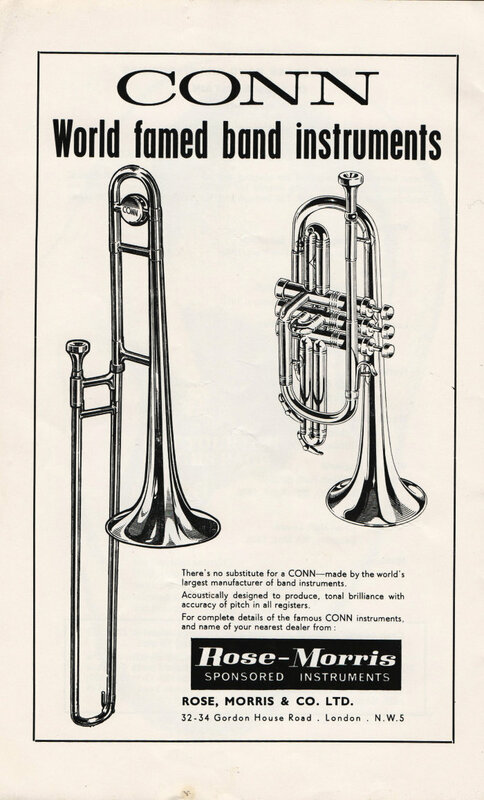 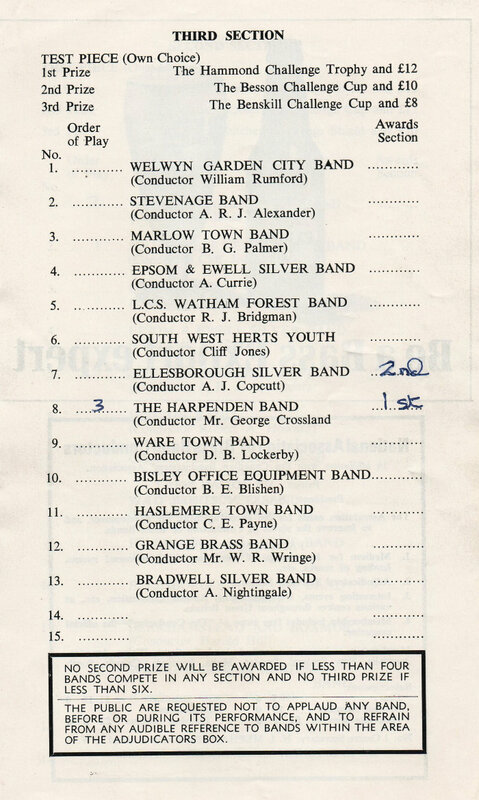 I played 3rd Cornet in the town brass band for two years. 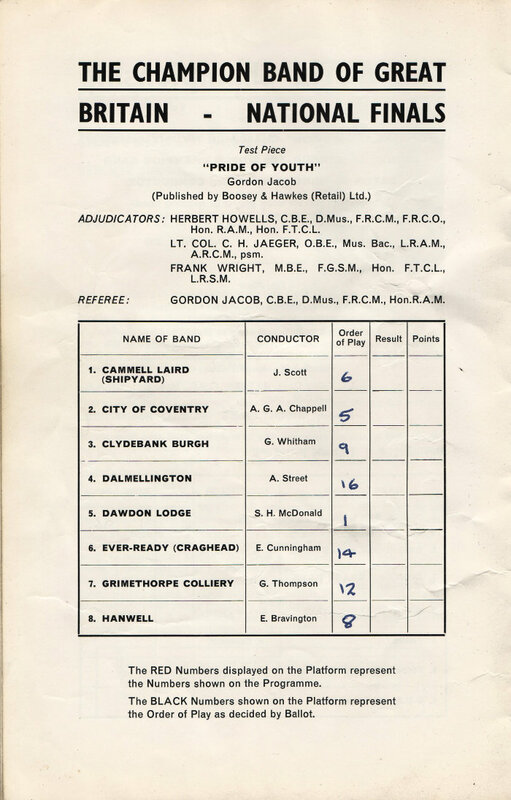 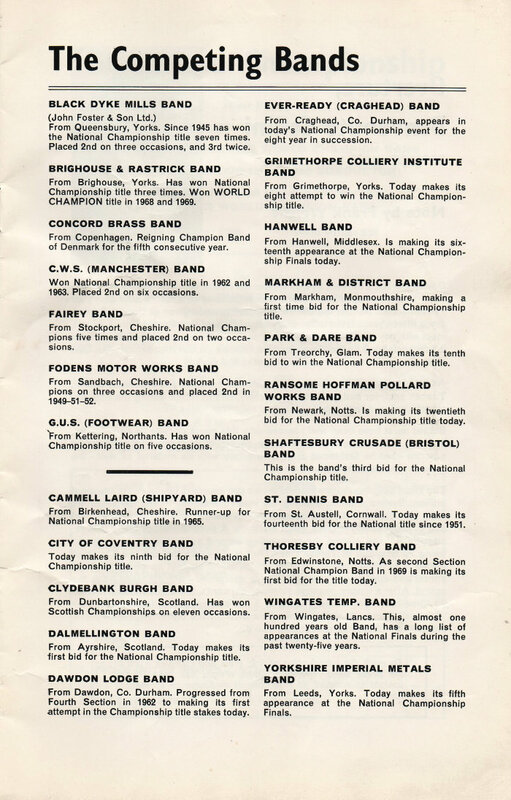 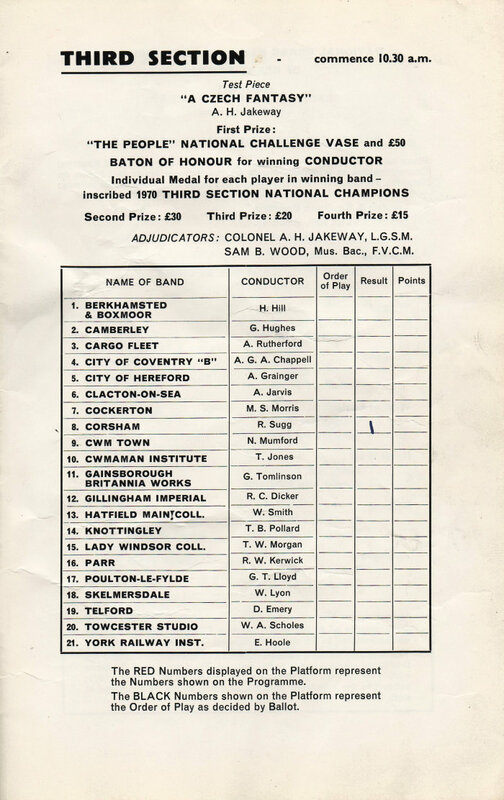 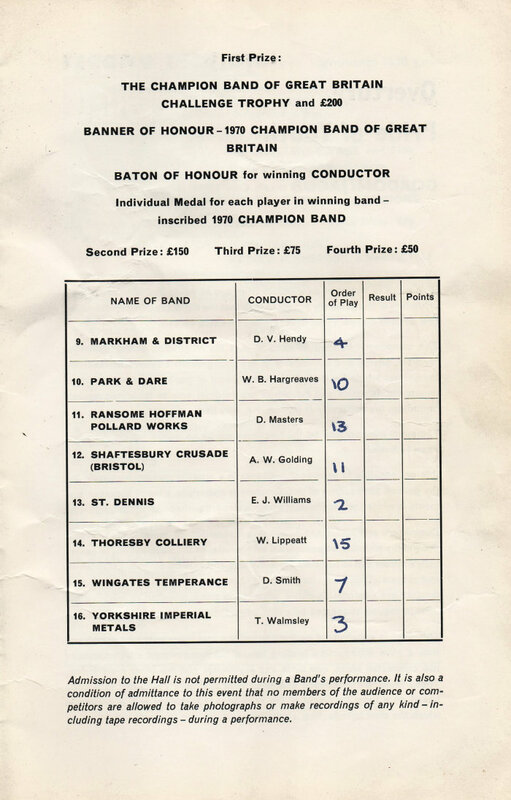 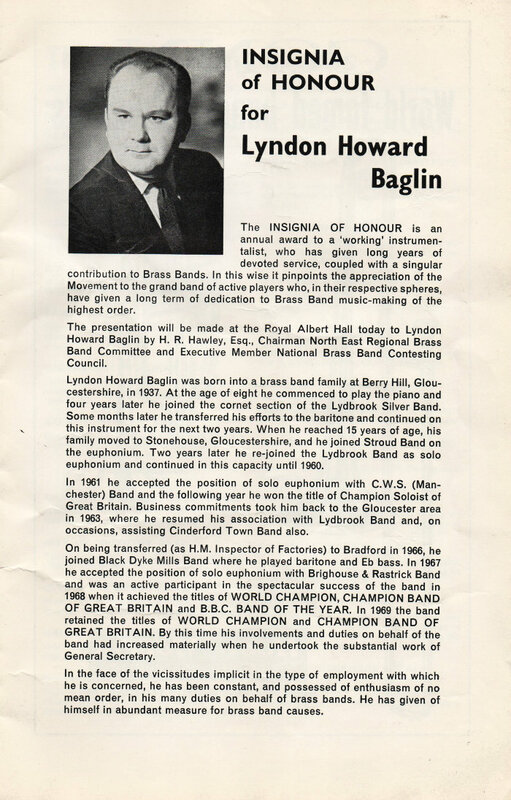 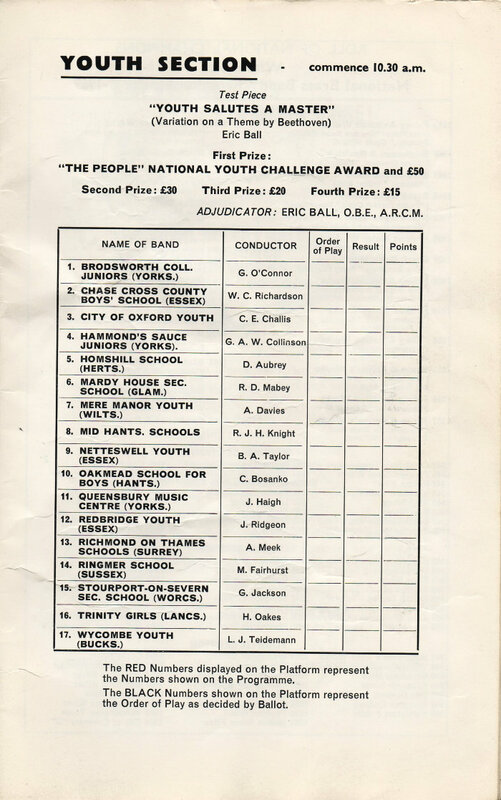 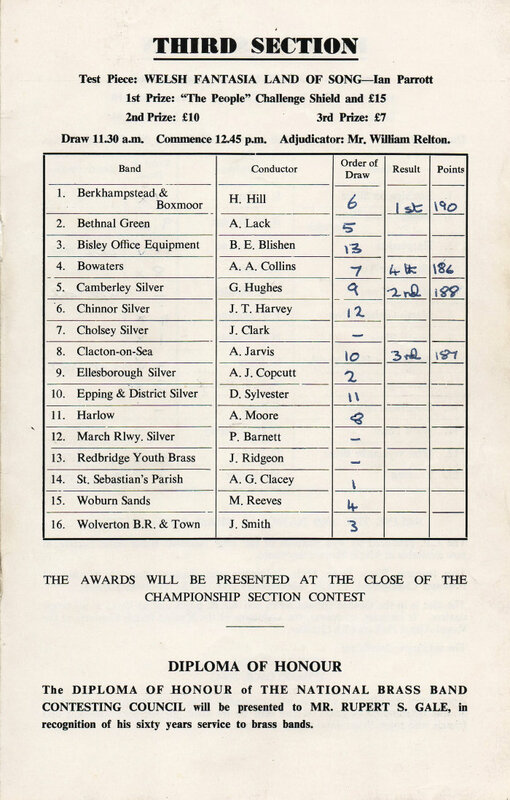 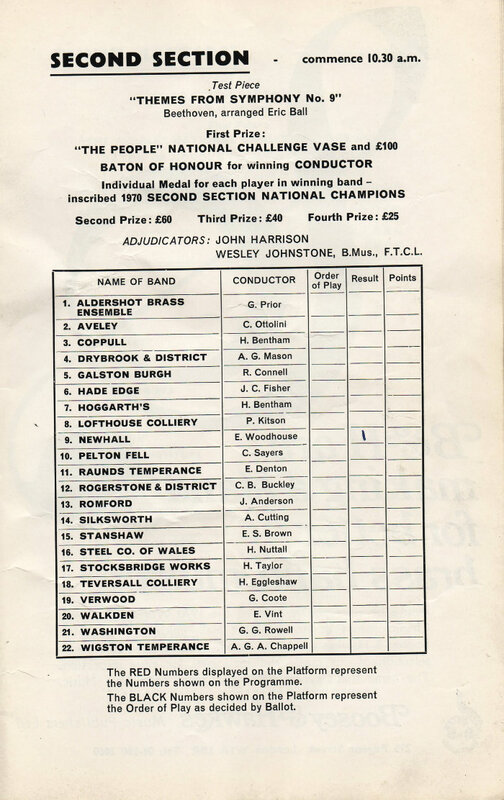 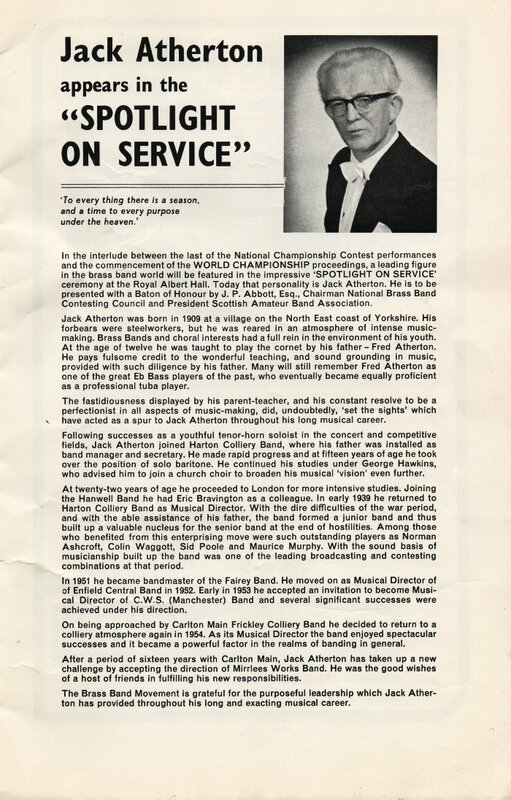 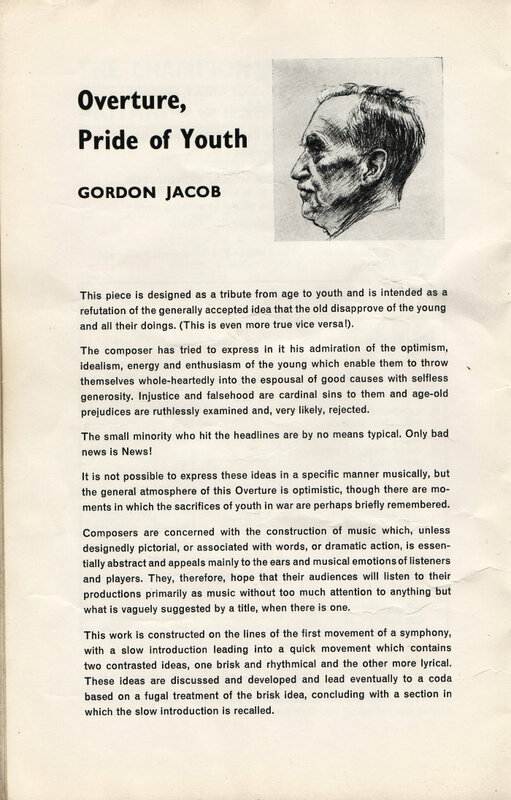 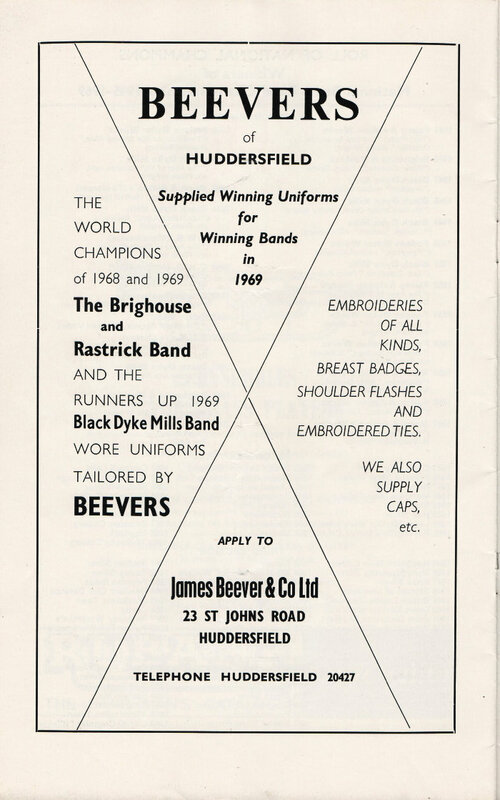 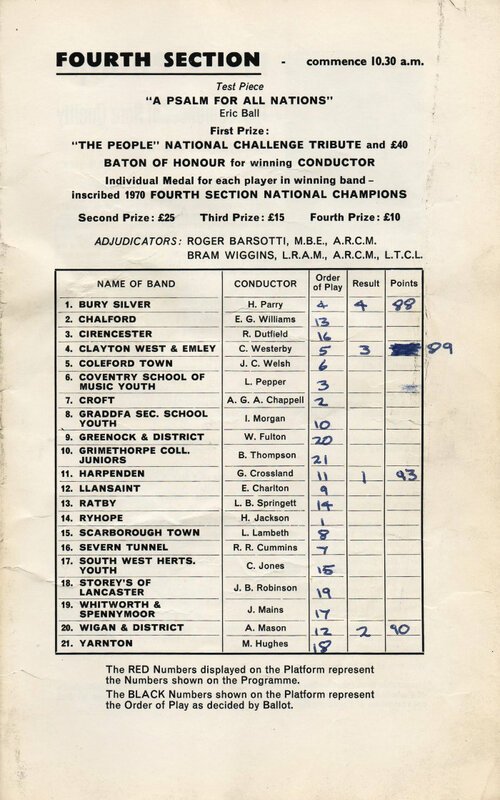 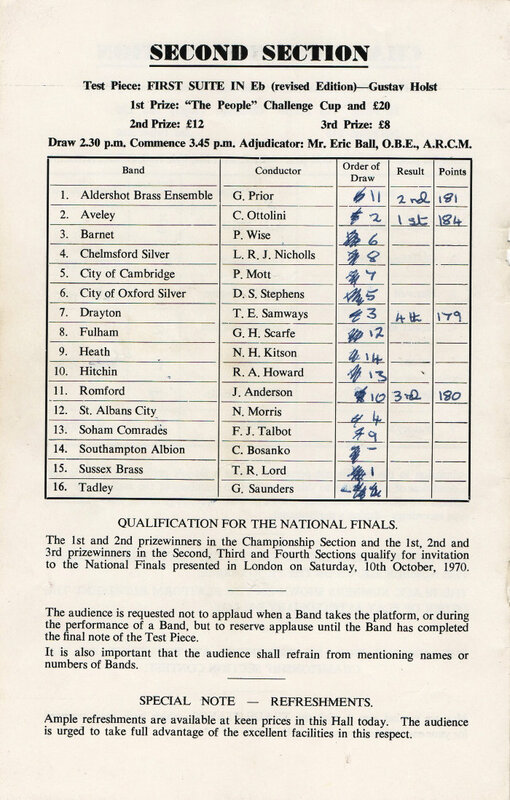 In 1970 we won the National Championship for the 4th Section under conductor George Crossland. 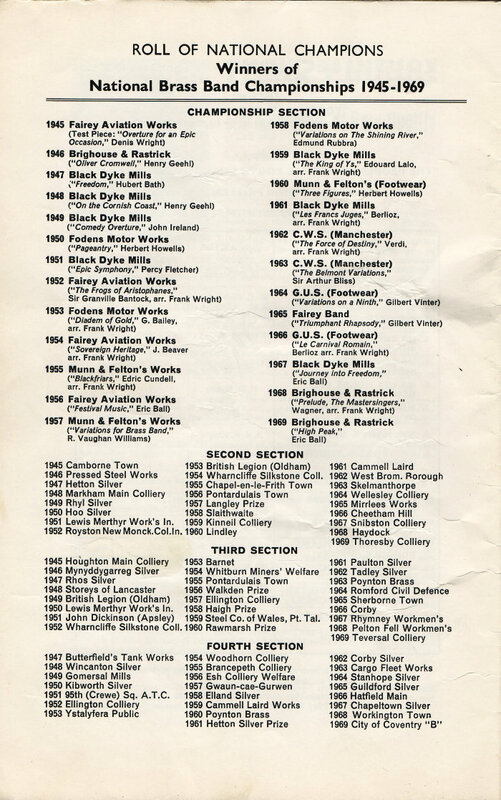 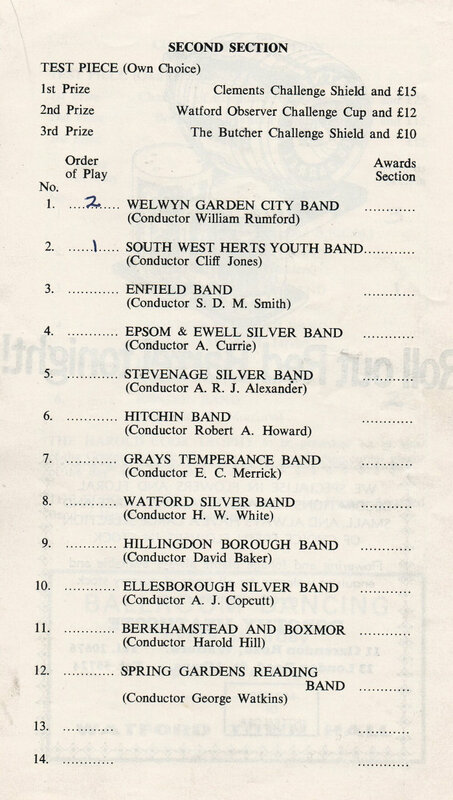 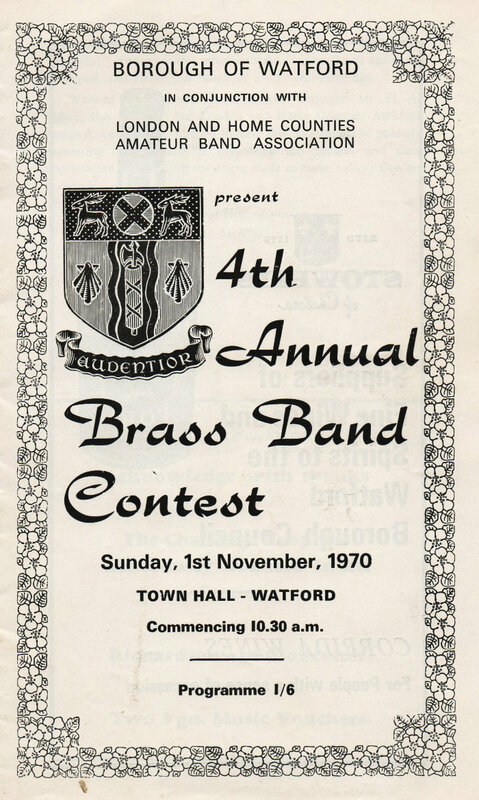 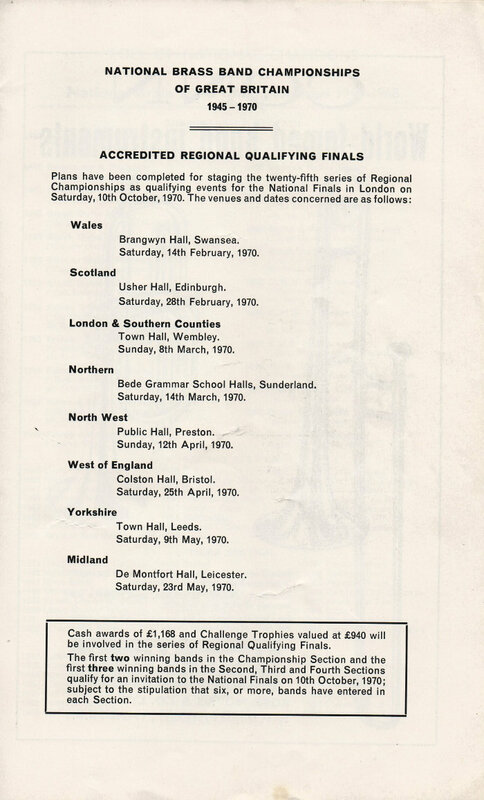 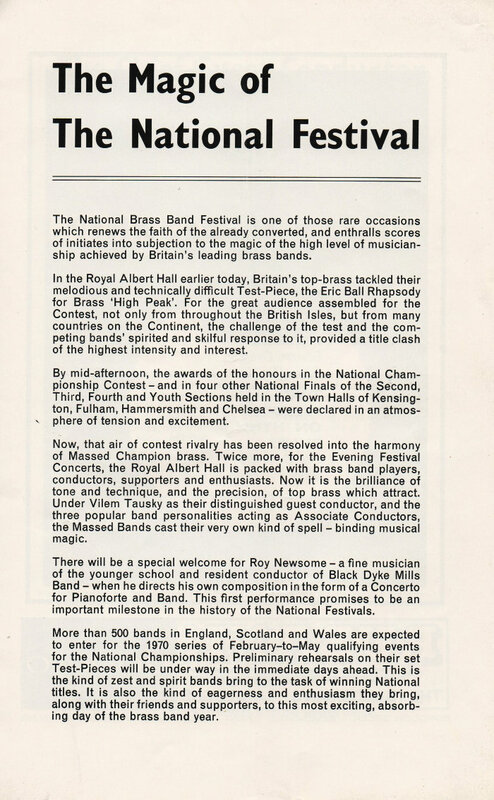 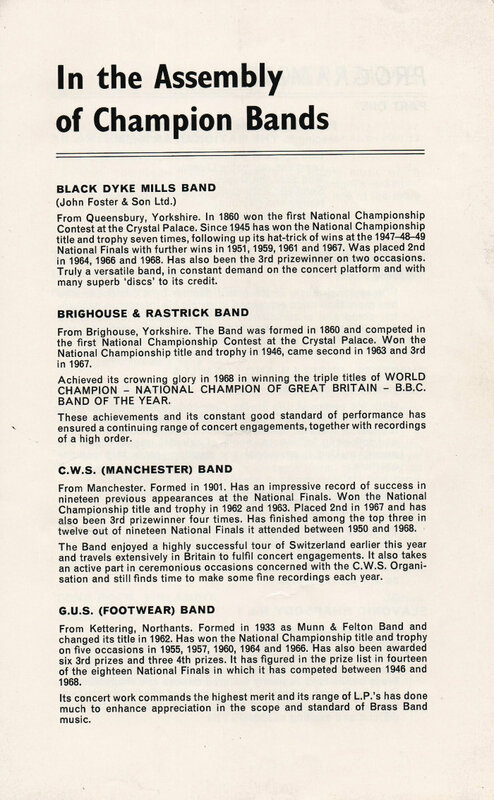 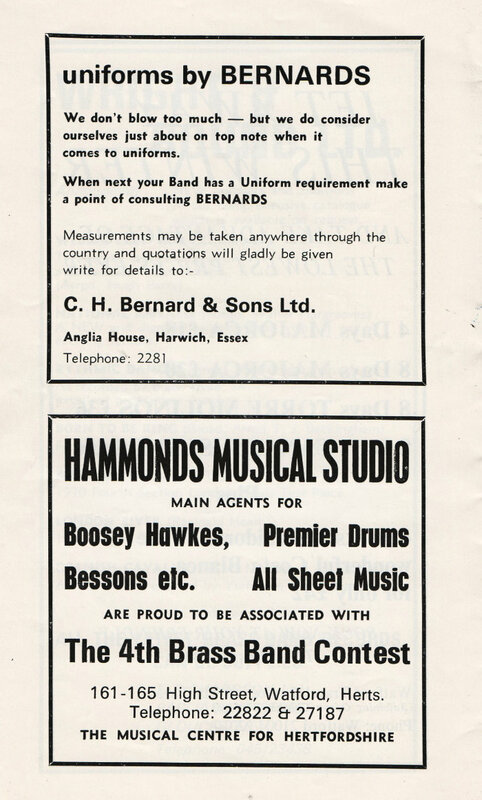 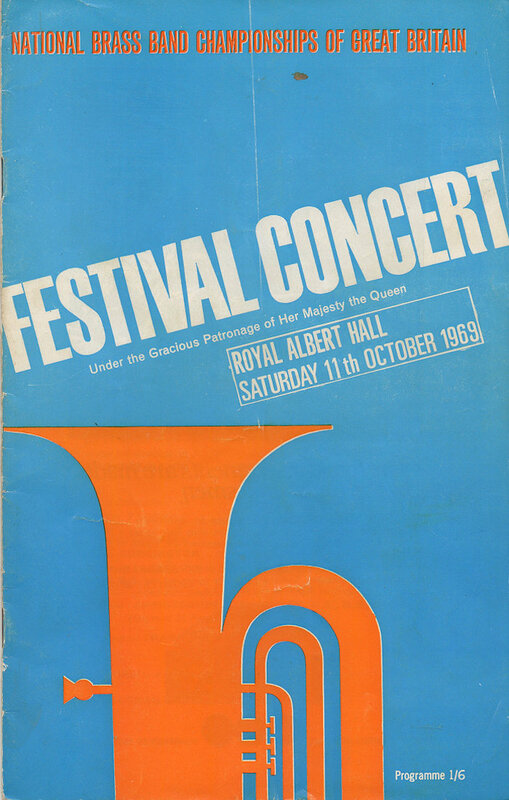 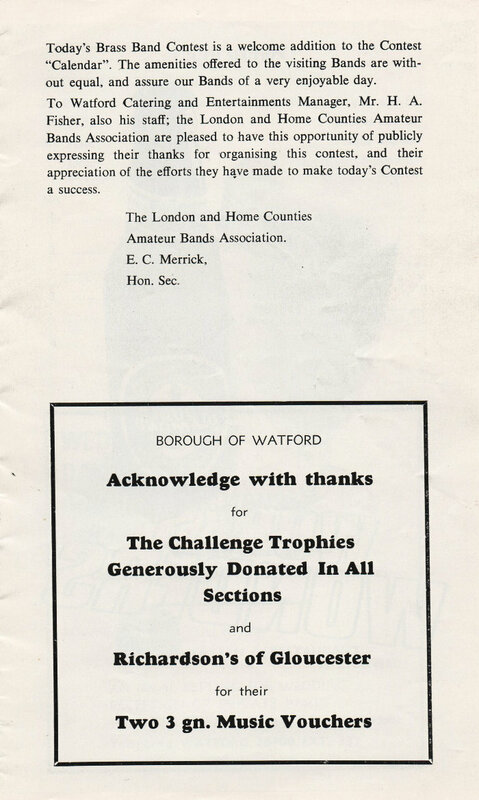 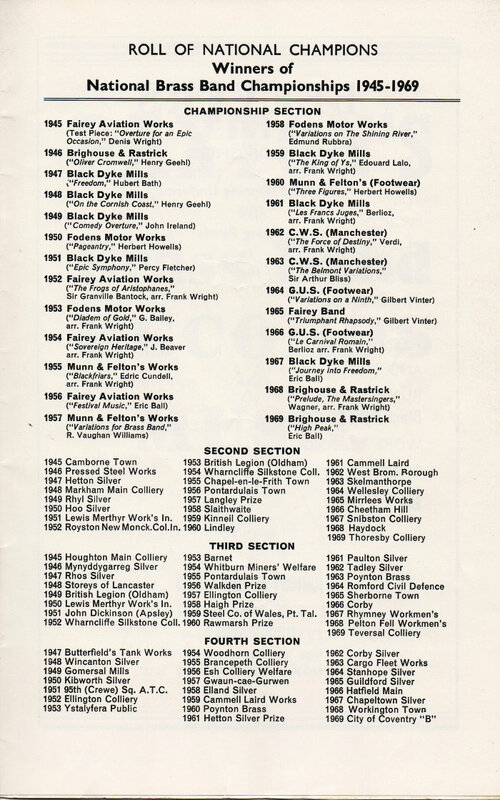 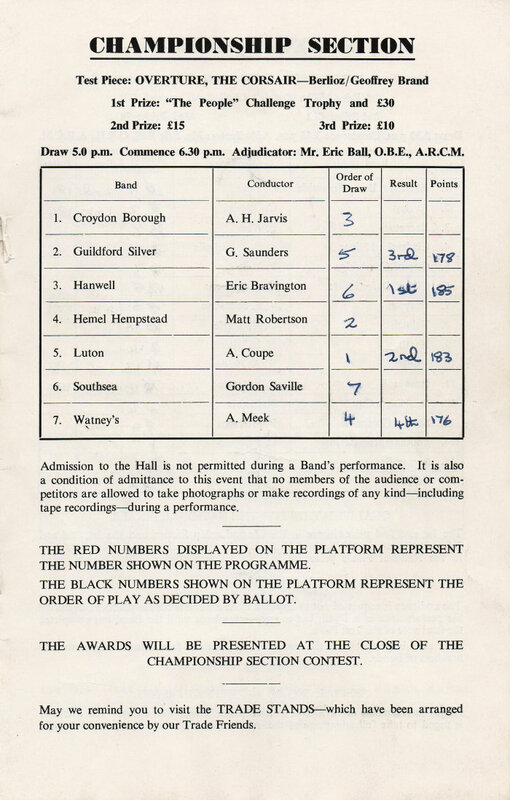 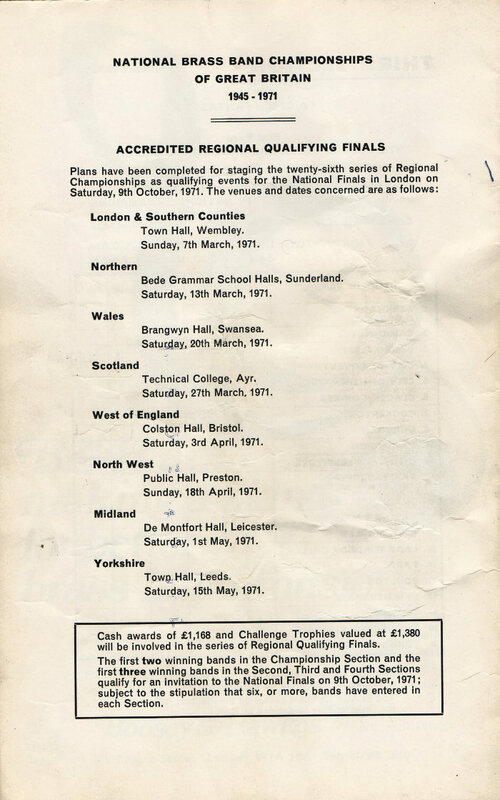 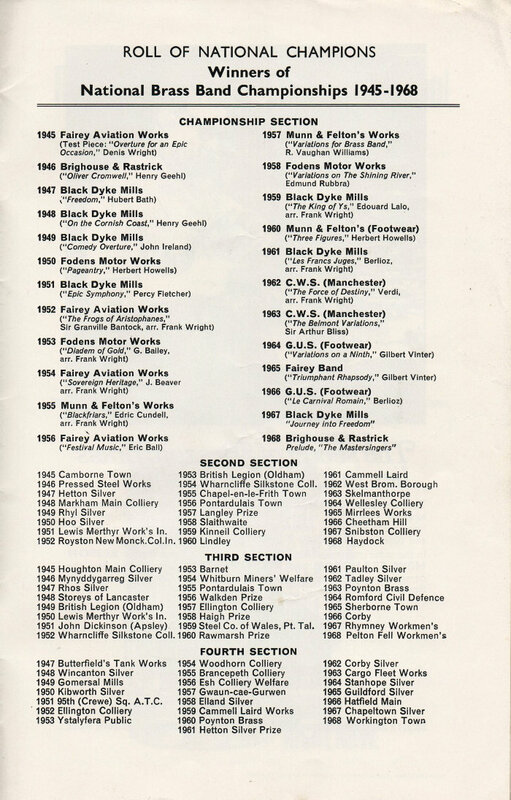 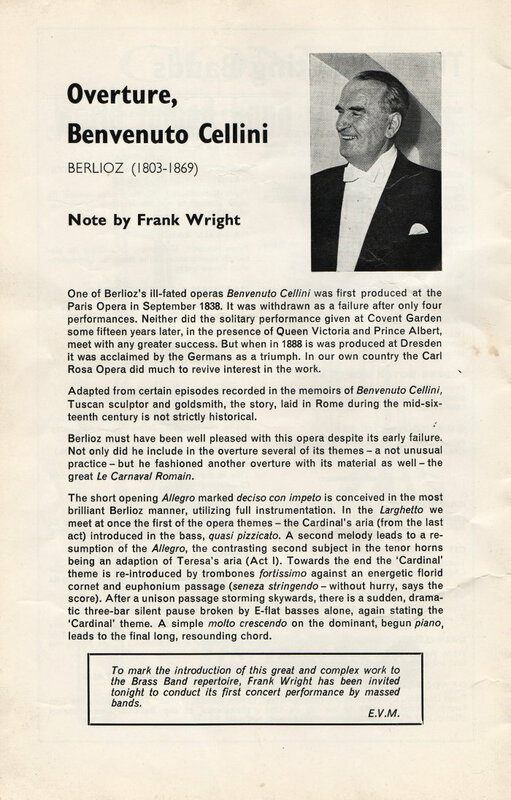 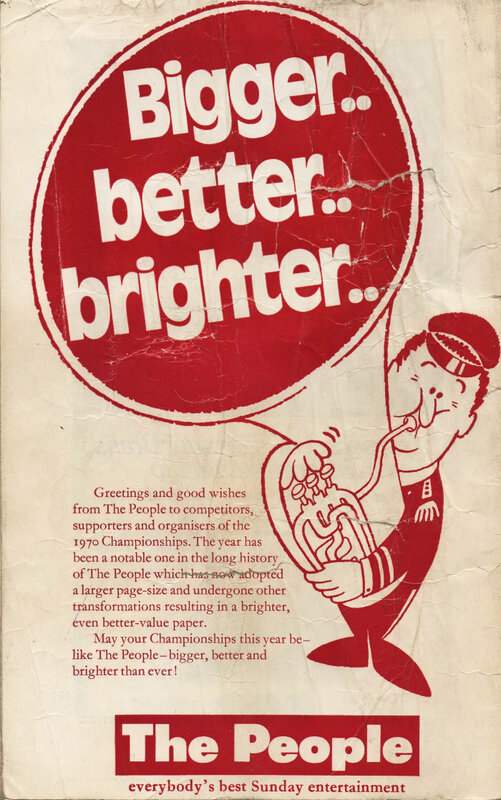 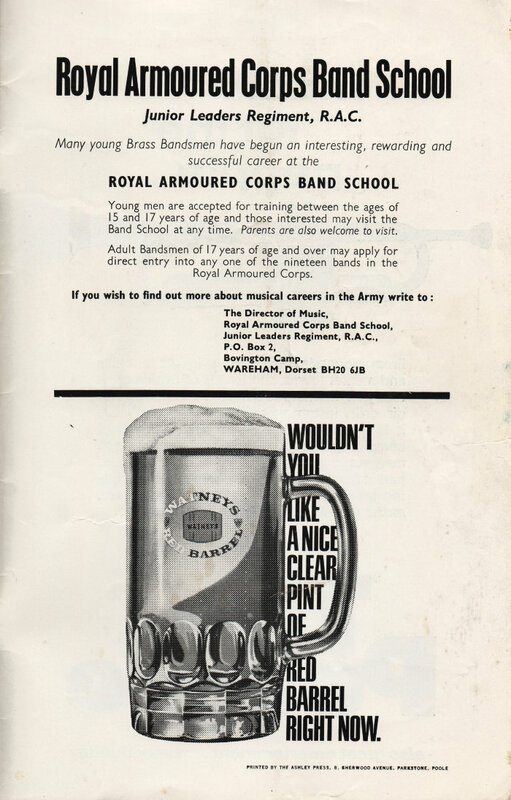 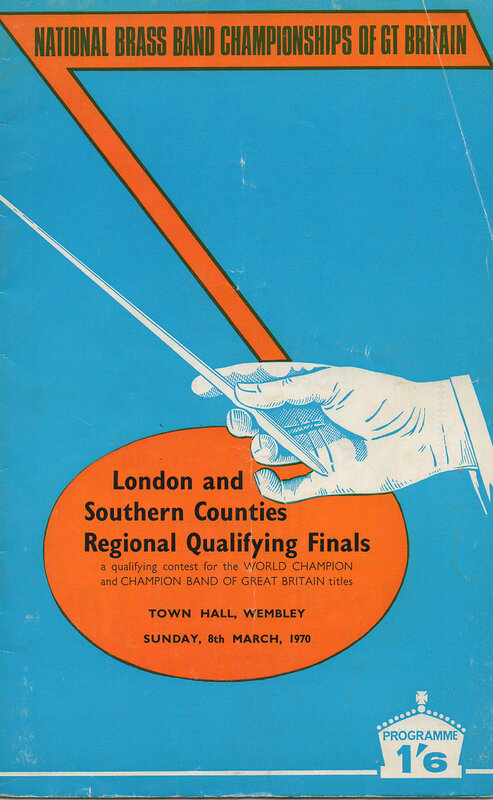 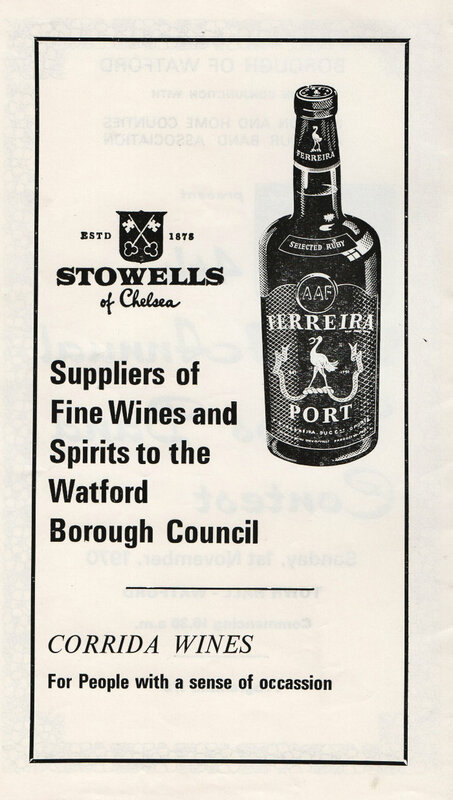 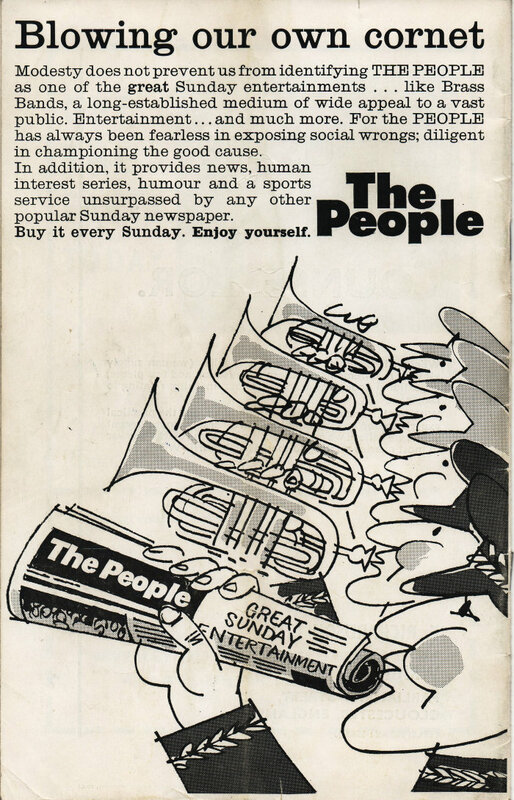 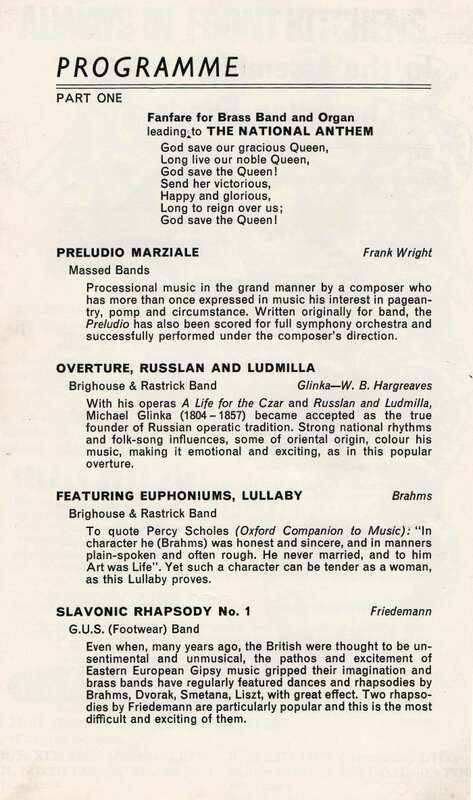 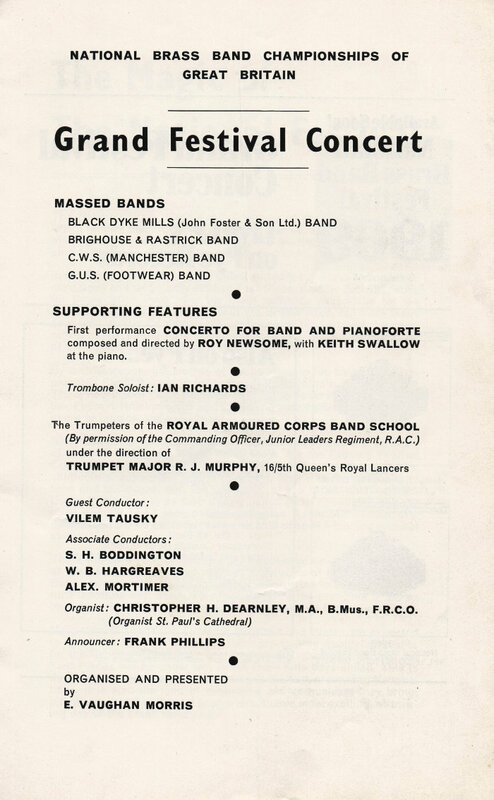 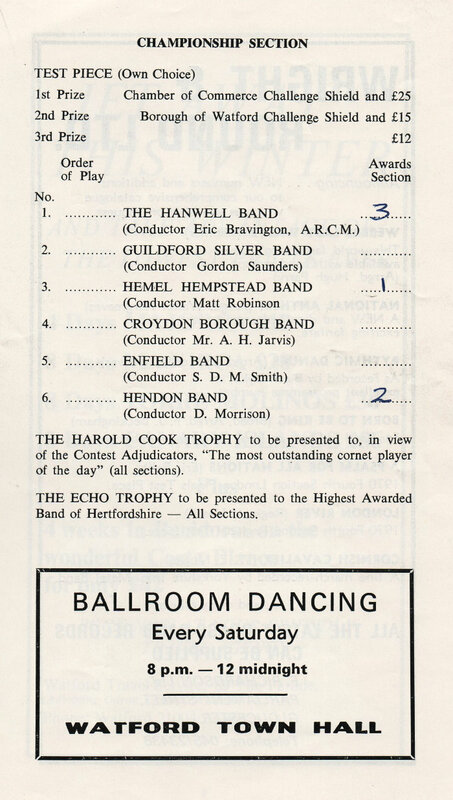 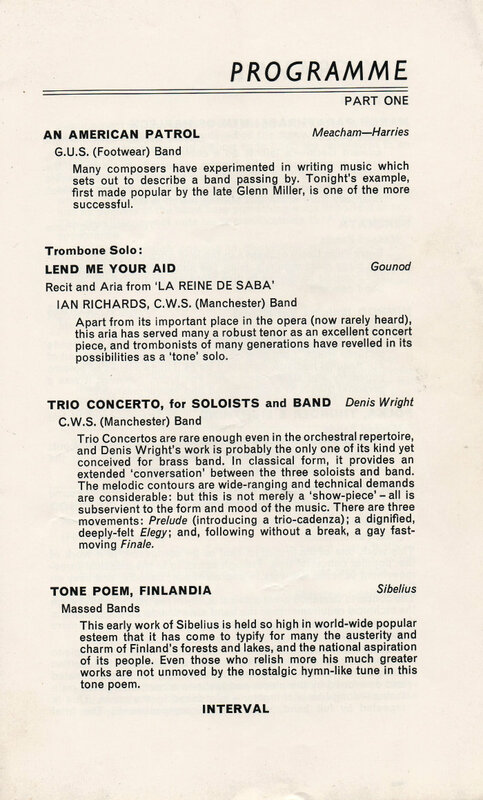 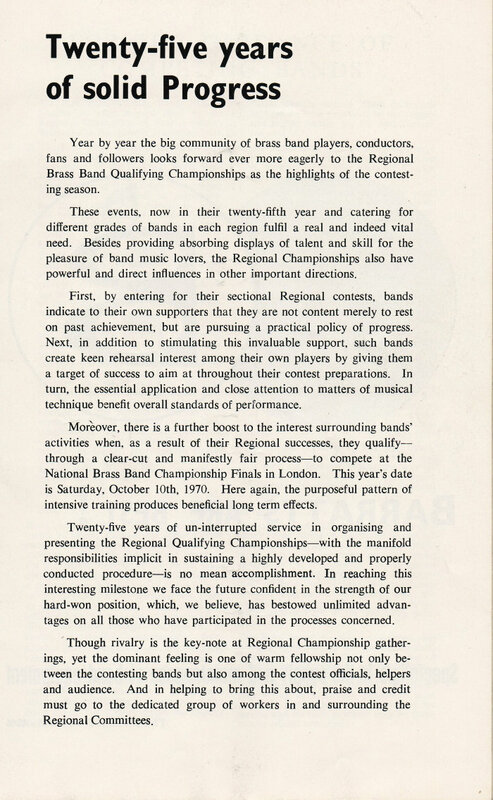 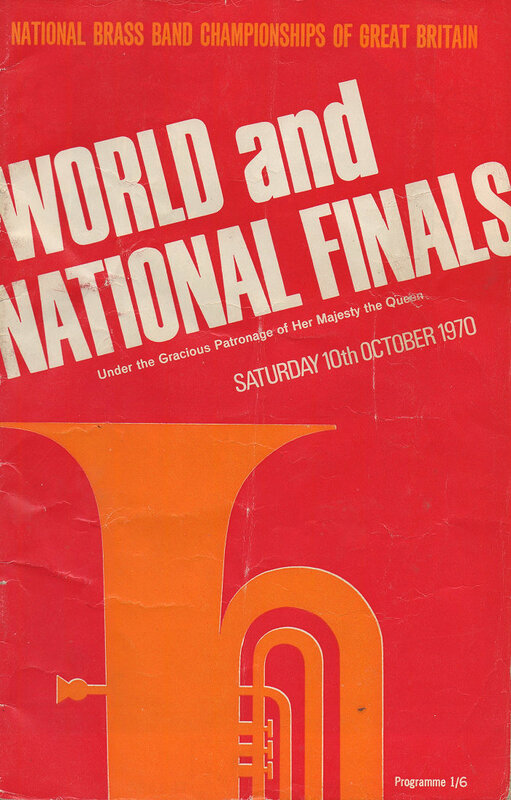 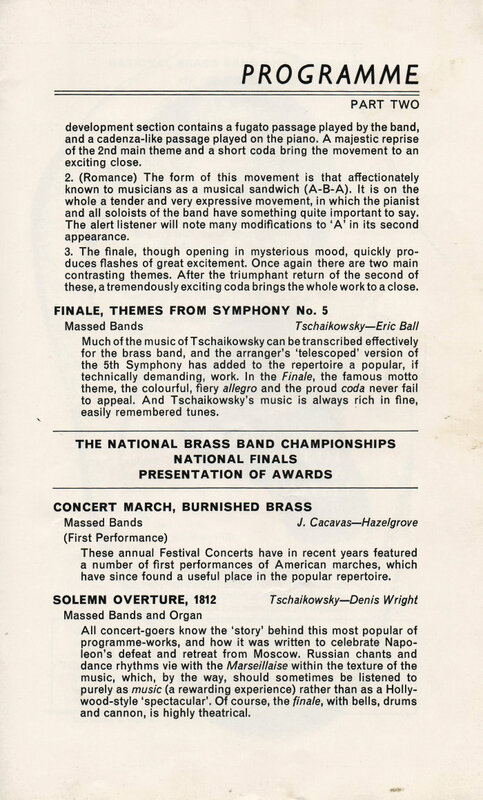 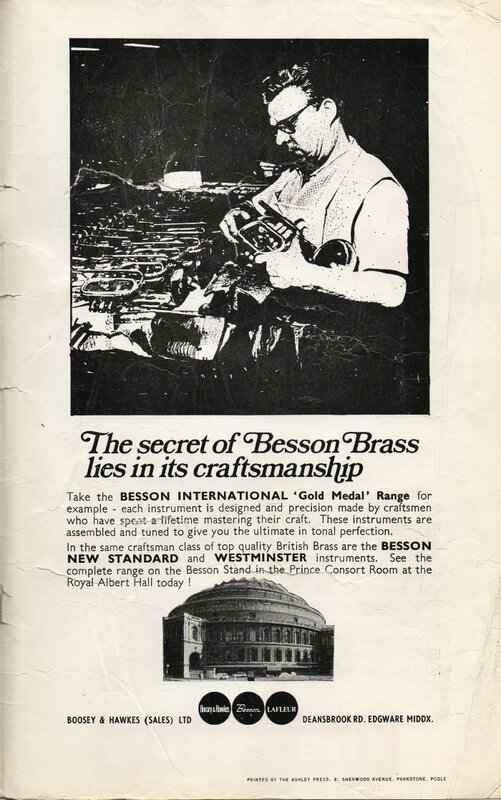 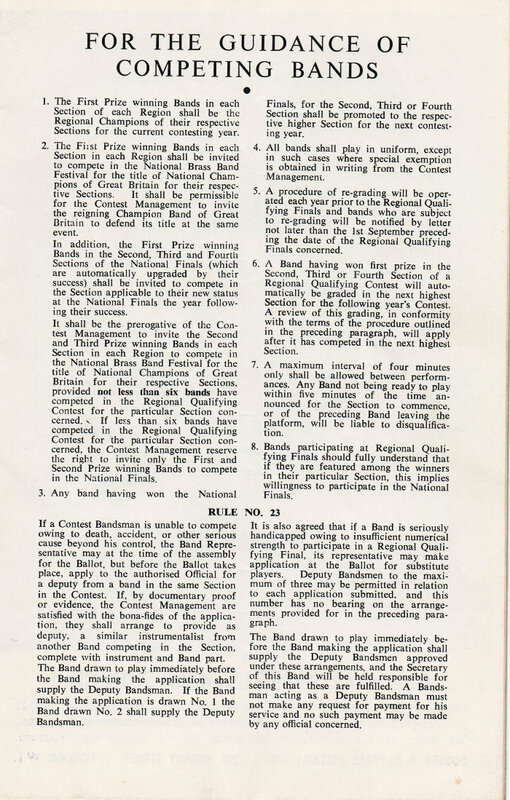 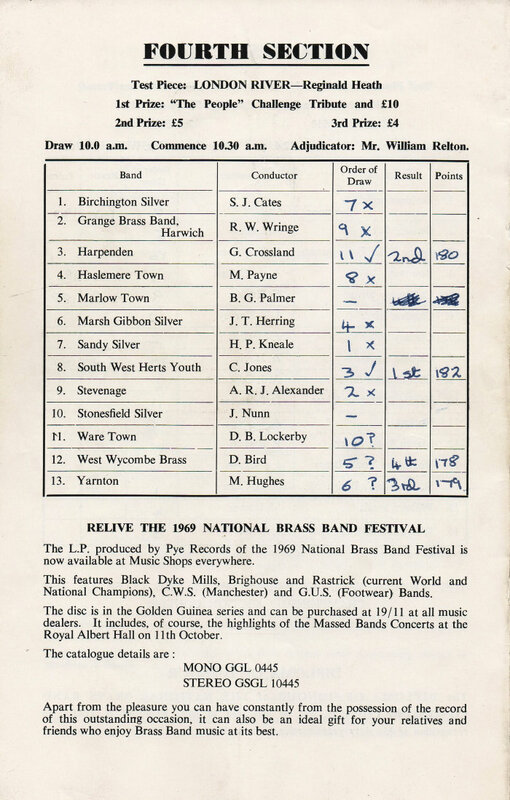 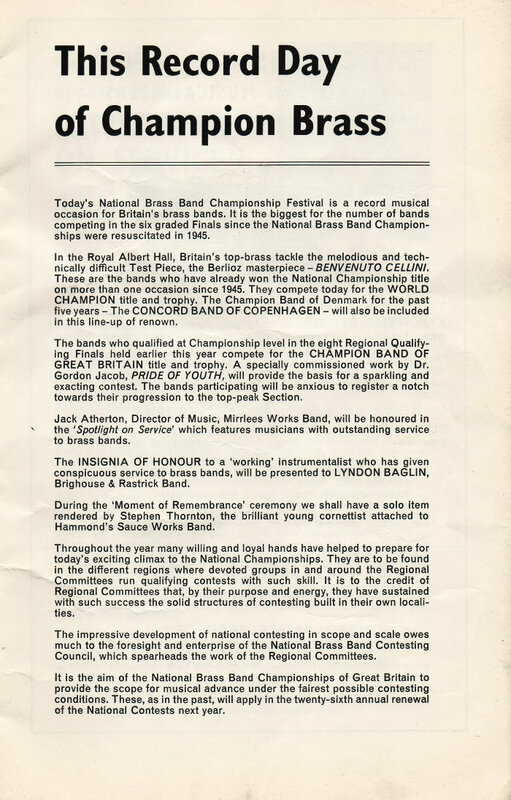 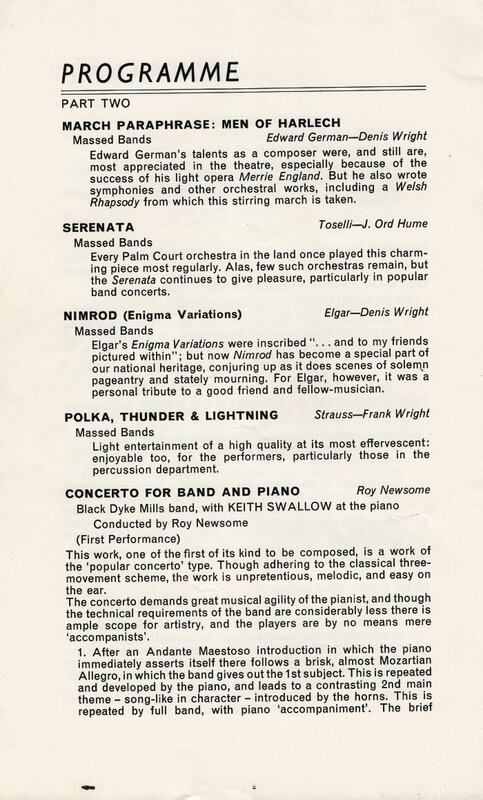 Here are programmes for the regional qualifying final at Wembley Town Hall, the national final at Hammersmith Town Hall, the Festival Concert in the Albert Hall and a subsequent brass band contest at Watford, all taking place in 1970. 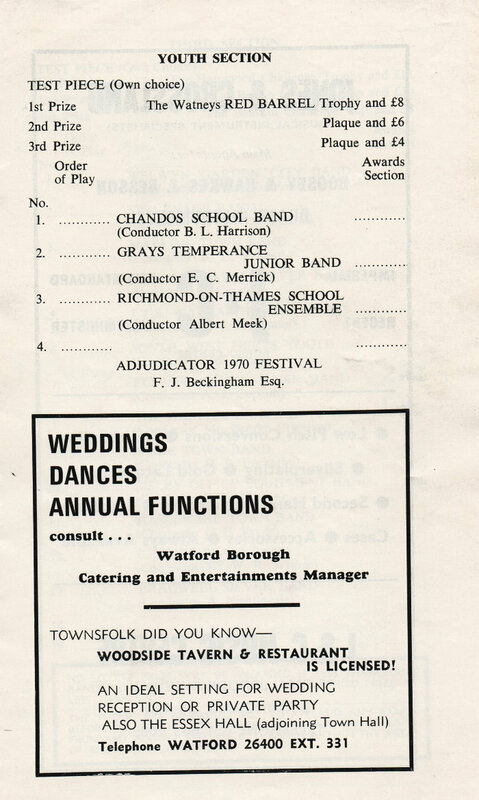 I'm included only a few pages of advertisements in the programmes.